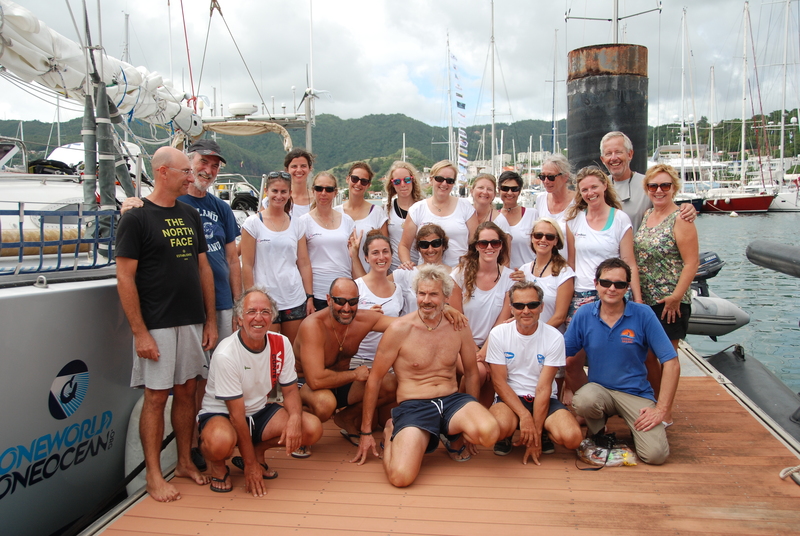 Sea Dragon and her all-women crew crossed the finish line at noon local time today, in very light wind. The crews of The Larrikin and Mahe 3, in Martinique since yesterday, along with the teams of the tourism office of Le Marin and of the Marina du Marin, were all waiting to celebrate together the spectacular arrival. Several schools of Le Marin will come to the marina next week to visit the boat, meet the crew and understand the scientific and environmental aims of the eXXpedition crew. 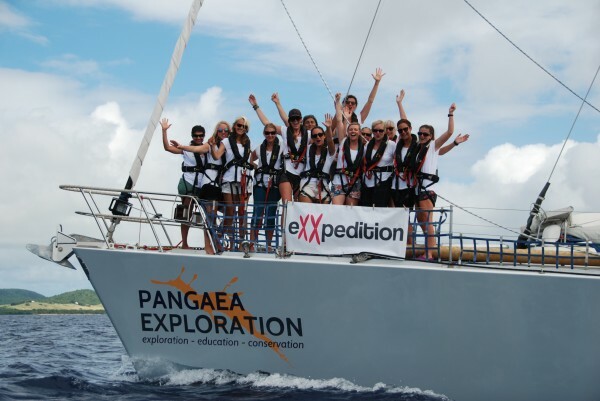 “Making the unseen seen” is the eXXpedition mission, as the crew of artists, scientists and environmental advocates sailed Sea Dragon across the Atlantic, conducting scientific research en route into harmful toxins found in the ocean, marine life and our own bodies. Sea Dragon is a 72ft former Global Challenge yacht, now owned by Pangaea Explorations and carrying out scientific research around the world.